This month we have a guest post from Lesly at 52 days to explore giving great tips on how to plan a family trip. 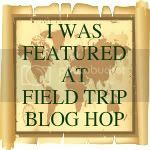 She is a teacher and mother of 5 who believes field trips are a fun day for both kids and parents alike. Everyone gets excited about field trips: getting out of the usual place of learning and seeing something different. The goal is for children to have fun in learning and to stimulate their interest and understanding in a new way. With good planning field trips can be educational and memorable for everyone. Make a list and get everyone involved in the planning. 1. Assign some jobs to others if possible e.g. 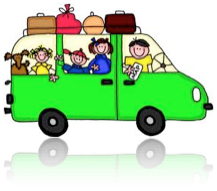 get children to help develop simple rules for the trip. 2. Decide your objectives for the visit. What do you want to get out of the field trip? a. 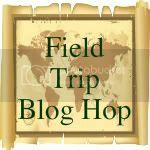 Check with your field trip location to see if they have ready-made lesson plans that you can use. If not create an age appropriate lesson - a scavenger hunt, a question sheet, a report when they return. See more suggestions below. b. Get location and directions to destinations. 4. Each person could lay out their clothes the night before. 5. Go to bed early the night before. 6. Have a healthy breakfast - even the non-breakfast lovers could have a smoothie of milk and fruit. 7. Pack some healthy snacks for the trip like sultanas, wholemeal biscuits, or muffins and don't forget a drink. 8. If the trip is long, schedule a restroom break and/or park visit. 9. Create some family traditions for during the trip that everyone enjoys: maybe you enjoy games or having a sketchpad and pencil or writing in a journal. 10. Give each child a sticker or note for their pocket with the adult's name and contact number in case of separation. 11. There is no such thing as too may head counts, especially if you have more than 2 children. 12. A packed lunch in disposable wrappers is great so you don't need to carry lots of empty containers around. 13. When leaving, take a moment to check that everyone has their jackets and whatever else they brought with them. 14. Plan an easy meal when you all arrive home tired. 15. Give everyone a chance to talk about their impressions of the trip - what was the best part and the worst part? Maybe a day or two later ask what they learned and share specific assignments they completed while on the field trip. Thank you Lesley! Please visit her at 52 days to explore. You will find activities and resources to engage families with the great outdoors. I found you through NOBH! This blog looks great! :) Now following you!